StarHub showcased its capabilities in Fixed Enterprise through its Sell-side Day held on 6 Sep 17. It reaches out to SME customers through the Go Digital initiative and adds value by providing data analytics. The revamped leadership and acquisition of Accel Systems & Technologies would strengthen growth at Fixed Enterprise Group. Maintain HOLD. Target price: S$2.62. Entry price: S$2.38. Revamped leadership at Fixed Enterprise. StarHub’s new Head of Fixed Enterprise Group, Dr Chong Yoke Sin, started work at StarHub on 3 Apr 17. She was previously CEO of Integrated Health Information Systems (IHiS) and National Computer Systems (NCS). She was instrumental in integrating the IT departments of the public healthcare clusters of the National Health Group and SingHealth to establish IHiS (2008-17), as a subsidiary under the Ministry of Health. Dr Chong was also recognised as a key driving force at NCS (1996-2007), the largest system integration company in Singapore. She will drive the next phase of growth for the Fixed Enterprise Group. The goal of the Fixed Enterprise Group is to empower its enterprise customers to target and serve their customers better (via the B2B2C model). It offers cloud & data centres, cyber security, IOT (M2M) & robotics, Insights & AI, connectivity, enterprise mobility and managed IT services. Its customers come from retail/ hospitality, food & beverage, healthcare, transportation, financial services, SMEs and government agencies. StarHub is actively exploring potential acquisitions, such as startups specialising in cyber security and data analytics, but without compromising its dividend policy of paying 4 S cents/quarter. StarHub has coverage for 95% of commercial buildings through its low latency fibre network. It also possesses international connectivity through its five submarine cable consortiums - APG, ASE, AAG, APCN2 and EAC. 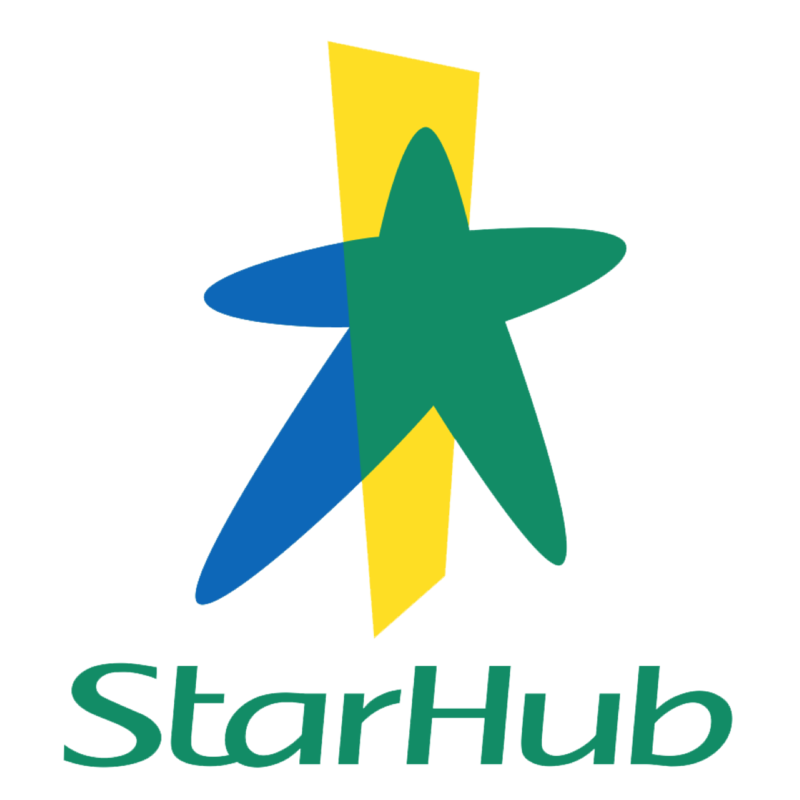 StarHub as curator for SMEs. SMEs’ Go Digital initiative was announced at Budget 2017 to help SMEs build stronger digital capabilities. StarHub has targeted 1,000 SMEs in the food & beverage sector to help transform them digitally. StarHub showcased its Smart Retail solution, which provides free WiFi at cafes and restaurants, data analytics (branding, promotions and analysis of advertising campaigns) and an ordering and payment system. Besides productivity tools such as digital ordering and payment, and fleet management, new digital capabilities include cybersecurity, data protection and data analytics. The government provides financial support for up to 70%, capped at S$300,000 per SME. StarHub collects data from its consumer businesses, encompassing mobile (location and activities), pay TV (viewing preference) and residential broadband (browsing behaviour). It employs 20 data scientists and has collected useful data over the years. StarHub provides insights for its customers, including commercial enterprises and government agencies, using anonymised data. StarHub is acquiring Accel Systems & Technologies, a cyber security consultancy and solutions provider, for S$45.6m over three phases. The acquisition will expand StarHub’s in-house cyber security capabilities and strengthen its ability to provide end-to-end cyber security solutions (system integration). It has six industry partners, namely Blue Coat (filter web traffic on corporate networks), Coronet (security for cloud-based software), Cyberbit (protection for enterprises and critical infrastructure), Fortinet (network and content security), Verint (actionable intelligence solutions) and Wedge Networks (real-time security solutions). The acquisition accelerates StarHub’s expansion into cyber security. StarHub showcases its capabilities to monitor cyberattacks aimed at Singapore by origin of attacks by country and industries targeted. It also intends to address cyber security for the SME market. Enhancing 4G network with TDD-LTE spectrum. StarHub secured 20MHz of the 2500MHz frequency band during the general spectrum auction held in Apr 17. It has started to utilise the 2500MHz TDD-LTE spectrum in Aug 17. With the additional spectrum, customers are able to enjoy download speed of 800Mbps. The increased capacity enables StarHub to cope with the surge in data traffic during major events such as the National Day Parade and Formula 1 Singapore Grand Prix. Gaining traction for Fixed Enterprise. StarHub showcased its capabilities in Fixed Enterprise through its Sell-side Day. The revamped leadership and acquisition of Accel Systems & Technologies would strengthen growth at the Fixed Enterprise Group. We maintain our earnings forecasts. Maintain HOLD. Our target price of S$2.62 is based on DCF (COE: 6.5%, terminal growth: 1.5%), assuming M1 and StarHub embark on network sharing. However, our target price would drop to S$2.20 if the network sharing with M1 fails to materialise. StarHub’s dividend yield has improved to 6.1% after the recent steep correction. Savings in capex from sharing of mobile infrastructure with M1.